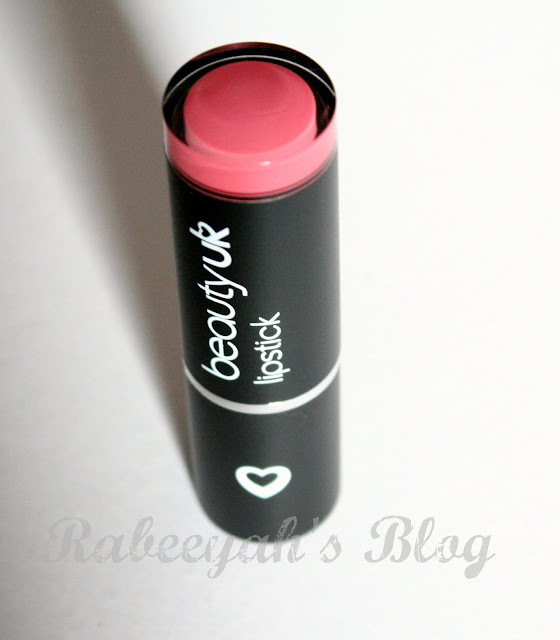 Review - Beautyuk Cosmetics Lipstick - In The Buff! As you know, I won a giveaway last month in which I won this beautiful lipstick by Beautyuk Cosmetics - In the Buff! This lipstick comes in 11 beautiful shades, from shades of pink to corals, red, plum and shades of brown. 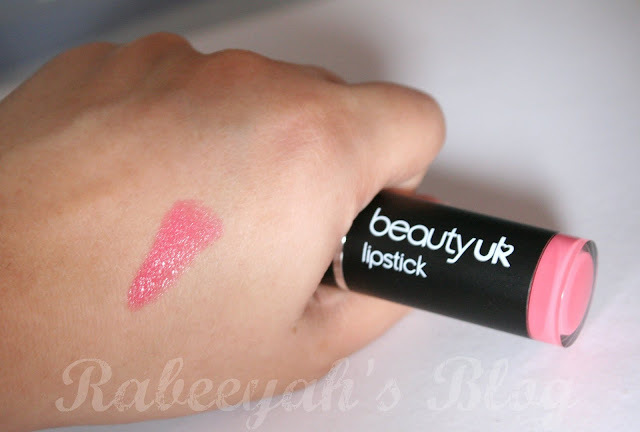 See what Beautyuk has to say about their lipsticks. Our brand new collection of lipsticks in a matte or gloss finish and a wide range of statement shades to tempt you away from a predictable palette. Choose Matte for a nourishing, long lasting pop of colour or Gloss for a luxuriously moist formulation for that wet look with a strongly pigmented shine. All formulated with a fresh and tasty hint of mint flavour. I must say, I AM IN LOVE with this lipstick. I never loved a lipstick so much. I personally like glossy lipsticks, because matte ones dries out my lips. What I love about this lipstick is the minty flavor. Yes! It has a hint of mint. As soon as you open the cap, you can smell the mint flavor. The smell is not so powerful, just a hint of it. The hint of mint in the lipstick actually makes your lips to plump it. I hope you all know why there is mint in plumping lip glosses. 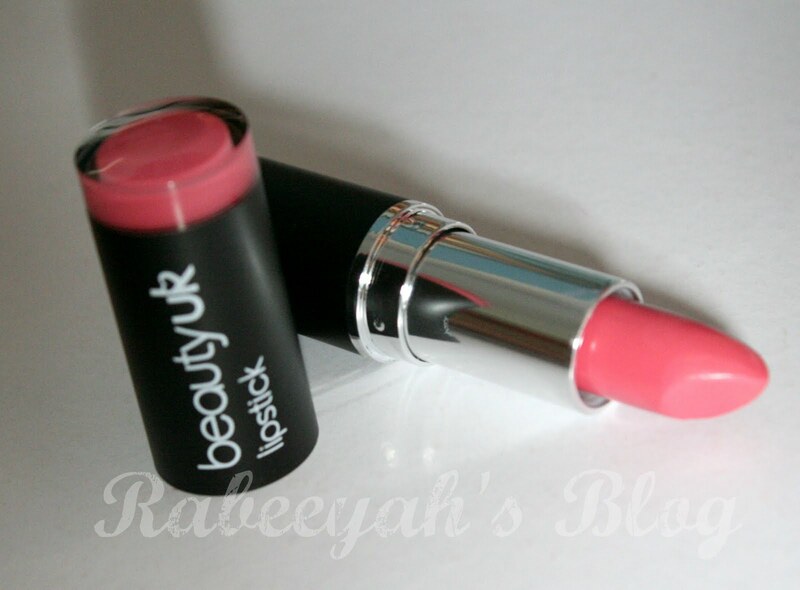 The lipstick is very smooth and moisturizing. It applies very smoothly on the lips, without showing lines of your lips. The color pay off is very good and it stays on my lips for 2 hours atleast (I am a big lipstick eater). The packaging is very attractive. I like the black casing with the color showing up on the top. It makes it so much easier while picking up a lipstick in a hurry. It is very chic and classy! You can see the swatch of the color! As I said, I am in LOVE with this lipstick and I would love to try more shades. If I am in love, I will recommend you all too. I am sure you will love it too. She is taking orders for Beautyuk Cosmetics. What a pretty summery color. You are right there is a wee hint of coral in it. Love your writing style, hope your eye heals and you get better soon. Do visit my blog. I`m mostly reviewing fragrances right now. I`m still new,(as of yesterday) so haven't developed a writing style as yet:). Have a great day. 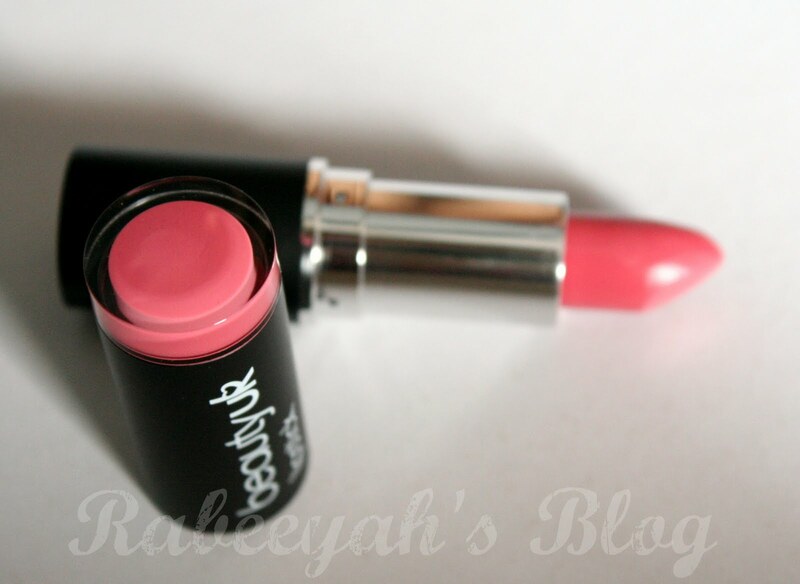 Such a lovely shade:) I LOVE pinks. Its so pretty! Especially the packaging! Was thinking of buying it but since it has a hint of mint, i dont think i will. Lip products with mint, even the slightest bit burn my lips like crazy! I dunno y?! =/ Ive had to give up some of my favourite glosses for that reason!! Thank you Zainab :) Yeah, it's very pretty. Oh! Then you can't even use lip plumpers?